The holy month of Ramadan is an auspicious month for the Muslims. It’s a time for self-reflection as the Muslim community around the world participate in a month of fasting before ushering the festive Hari Raya Aidilfitri. In Malaysia, the concept of breaking your fast after dawn is done in a slightly more celebratory manner. 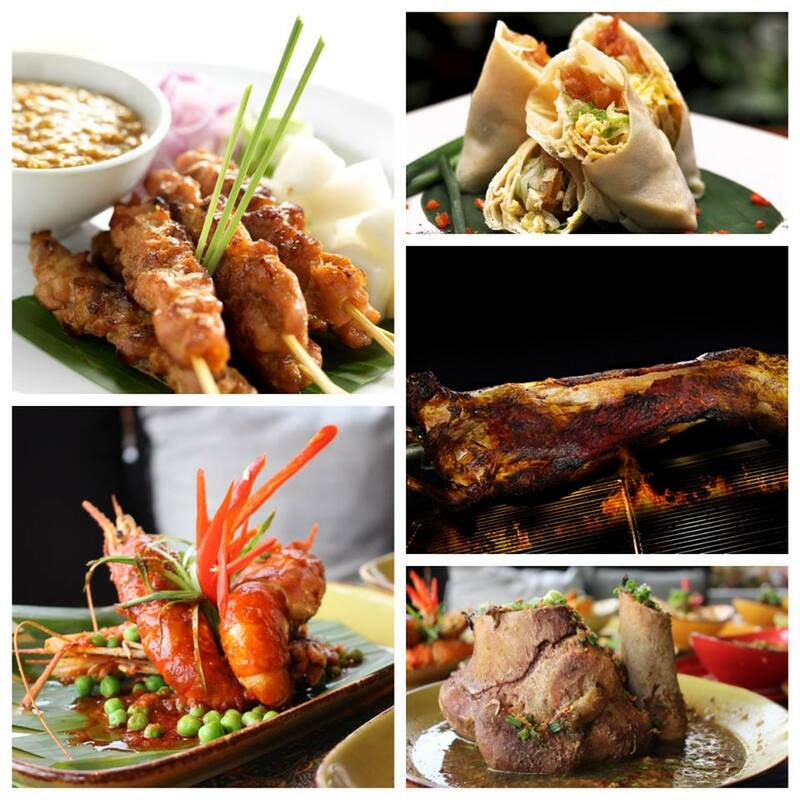 Malaysians will meet and feast together at night with scrumptious spreads of various cuisines and local delights. 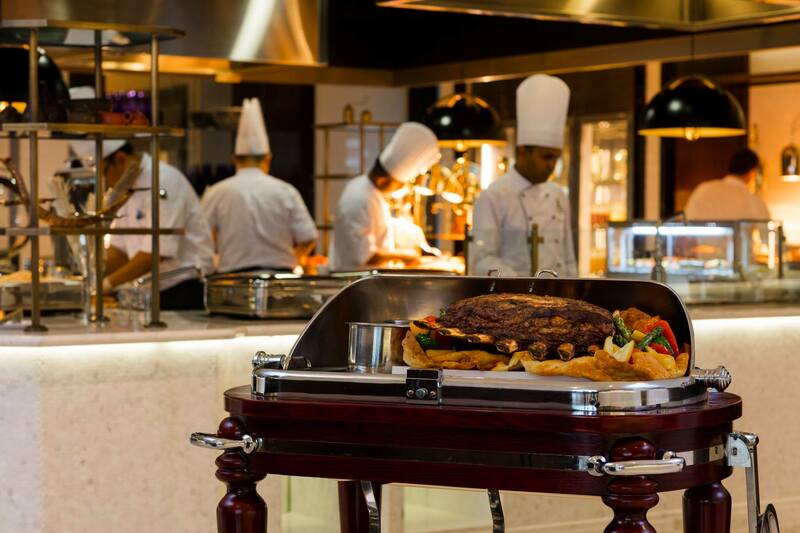 As such, many hotels grab the opportunity to feed the masses by preparing a Ramadan buffet with endless choices of food for patrons to sample. 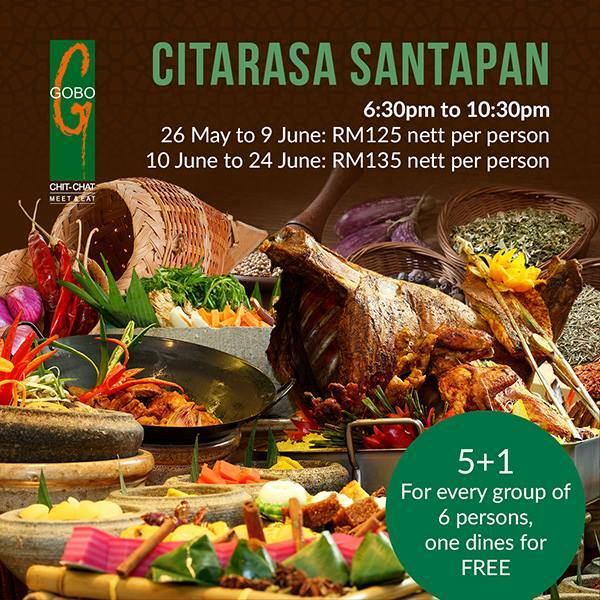 For the entire month of Ramadan, Gobo Chit Chat at Traders Hotel KL will be hosting their ‘Citarasa Santapan’ buffet dinner for all. Featuring a selection of local and international delicacies, the buffet spread is everyone’s dream dining table as they can sample a variety of dishes from different parts of the world. With a special focus on Malay cuisine, the hotel also prepares dishes that you’ve probably eaten only in your childhood cooked by your grandmother, like Lemang Pulut Hitam, Kerabu Kaki Ayam, Sengkuang Calit, and many more. Besides that, they also have Roti Canai and Murtabak station where the items are freshly made by trained chefs. 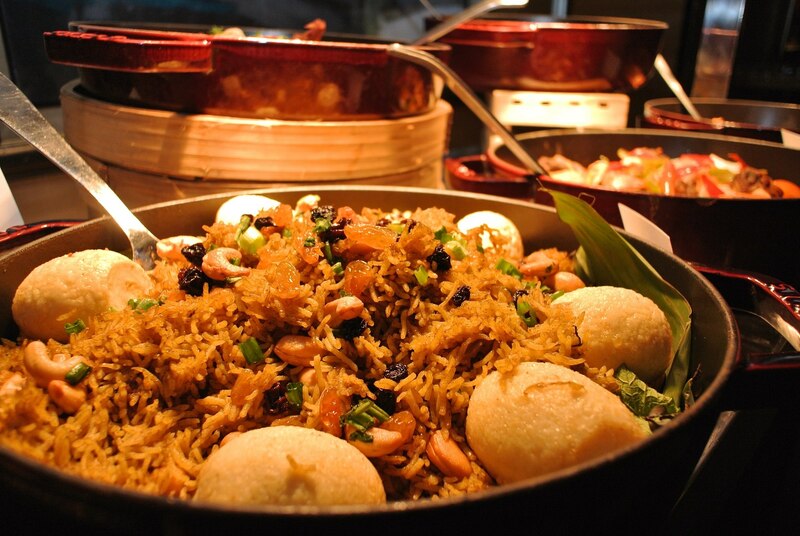 Apart from that, the current rave in Malaysia, Bamboo Briyani, will also be served to guests where the rice is stuffed in bamboo and is then slowly cooked to obtain the beautiful smell of basmati rice and spices. Not forgetting the dessert lovers, the buffet here also offers free flow New Zealand Natural ice cream in 12 flavours, as well as the popular Pengat Durian. Address: Traders Hotel, 50088 Kuala Lumpur. Offer: For every group of six, one dines for free. Reservation: Call +603-23329888 or contact their Facebook page. Entitled ‘Menikmati Aneka Judah di Saujana’, the breaking of fast buffet at Saujana Hotel KL offers a blend of traditional local delicacies, as well as Western and Japanese eats. If you’re a fan of local classics, then look out for Rusa Berempah (whole roasted deer with spices), Sup Gear Box (beef bone broth), Whole Roasted Lamb Percik (roasted lamb basted with spicy coconut milk gravy) and Itik Kukus Rendang Cili Padi (chili braised duck stew). The main highlight at this buffet spread is, of course, their Japanese dishes as guests can indulge on the finest quality of sashimi and sushi, as well as a lovely array of fresh seafood which includes oysters, crabs and prawns. Address: Jalan Lapangan Terbang Subang, Saujana, 40150 Shah Alam, Selangor. Price: RM175 nett Adult, RM87.50 Child (6-12 years), and child below 6 years old eat for free. 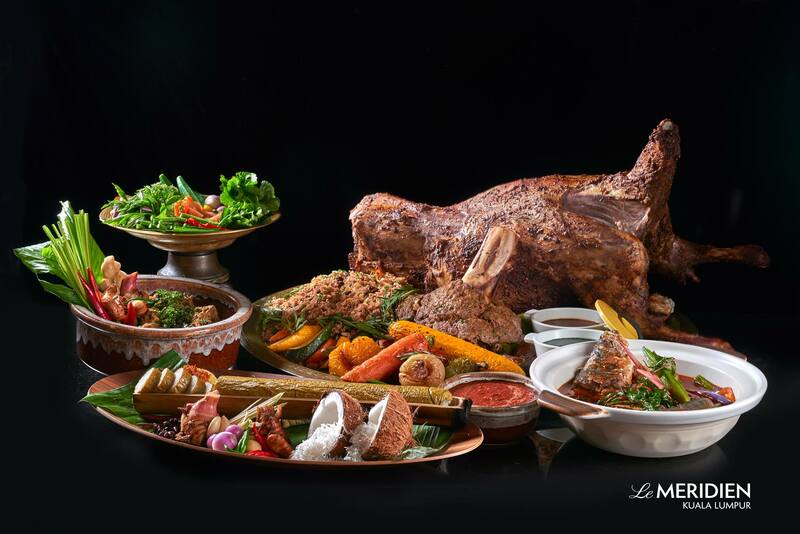 This Ramadan, head over to The Cobalt Room at The Ritz-Carlton KL and be ready to sample dishes that represent 13 states in Malaysia, as well as certain Middle Eastern specialities. Prepared by Executive Chef Zaffar and his team, the buffet features signature dishes from each state such as Asam Pedas Ikan Tenggiri from Melaka, Ikan Patin Masak Tempoyak from Pahang, Laksa from Kedah, Nasi Kerabu from Terengganu and many more. As for the dessert corner, Kek Lapis Sarawak, Talam Pandan Sabah, and Cik Mek Moleh from Kelantan can be tasted by customers. 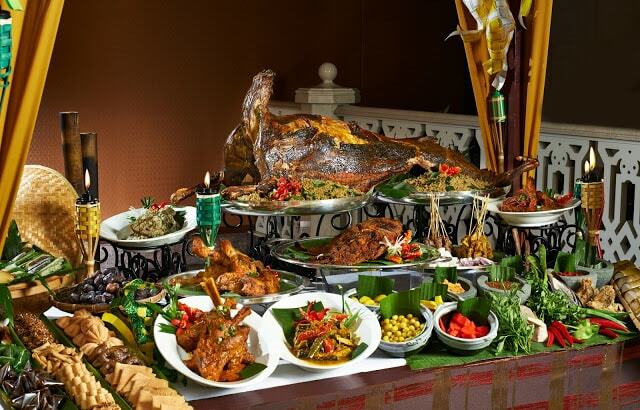 All in all, the Ramadan buffet here is truly a Malaysian feast! People say quality is more important than quantity. We say you can have the both of it at Hotel Istana’s Ramadan buffet. Showcasing over 100 authentic local dishes from different parts of Malaysia, the food here will undoubtedly remind you of Malaysian flavours. To start, diners can indulge in a tasty variety of Kerabu, such as Kerabu Isi Ketam, Keraabu Betik, Kerabu Udang, just to name a few. But, if you fancy something more substantial, then opt for the hotel’s signature dishes like Local Style Smoked Catfish in Spicy Coconut Gravy, Butter Prawns, Braised Fish Head with Tomato, Indian Lamb Bandai Korma, and more. The Durian Delight section is definitely one of the main highlights in the hotel as an array of sweet treats made from durian is served. Desserts like Glutinous Rice with Serawa Durian, Dodol Durian, Durian Strudel, and Cendol Durian are displayed. But if you’re looking for a healthier option, seasonal local fruits can also be found at the buffet counter. Reservation: Call +603- 21419988 or visit their website here. In collaboration with Sireh Pinang Art Colony, JP Teres at the Grand Hyatt KL will be organising a buffet dinner for the entire month of Ramadan entitled ‘Bazaar Kesenian’ where guests will get to enjoy authentic Malaysian favourites as well as witness a collection of historic local visual arts curated by local Artist, Raja Mohamed Nizam. If you like any of the collection, you can opt to purchase it at the hotel itself. In terms of the food, the resident chefs demonstrate their expertise by lining up dishes that have a variety of colours, textures, and flavours, which includes Roast Whole Lamb Percik-style with Briyani Rice, Nasi Kandar, Otak-Otak Daun Kelapa, Chicken Shawarma, plus a grand selection of delectable desserts. The talented chefs at Nook are all set to whip up a scrumptious range of traditional feast this Ramadan. Serving up a compelling assortment of fine local and international cuisine, Nook’s top-class buffet brims with irresistible options, from Braised Beef Shin Rendang to Wok-fried Teriyaki Chicken and more. With over 150 dishes rotating throughout the holy month, including delicious sweet treats, Nook’s Ramadan buffet is seen as a must-go culinary hotspot at least once during the fasting month. Address: No, 5, Jalan Stesen Sentral 5, Kuala Lumpur Sentral, 50470 Kuala Lumpur. Reservation: Call +603-27231188 or visit their website. 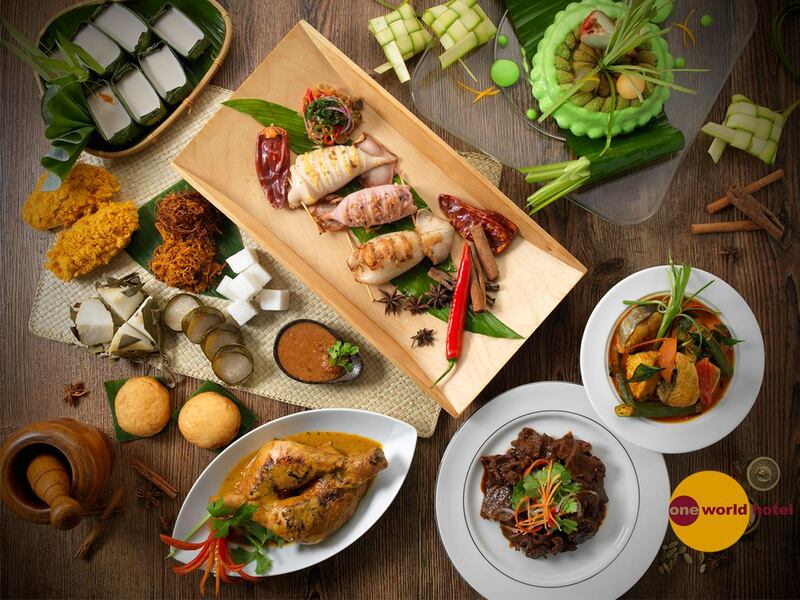 Sheraton Imperial KL will be serving an extravagant buffet spread that provides patrons a home-made authentic ‘Resipe Masakan Ibu’ experience. 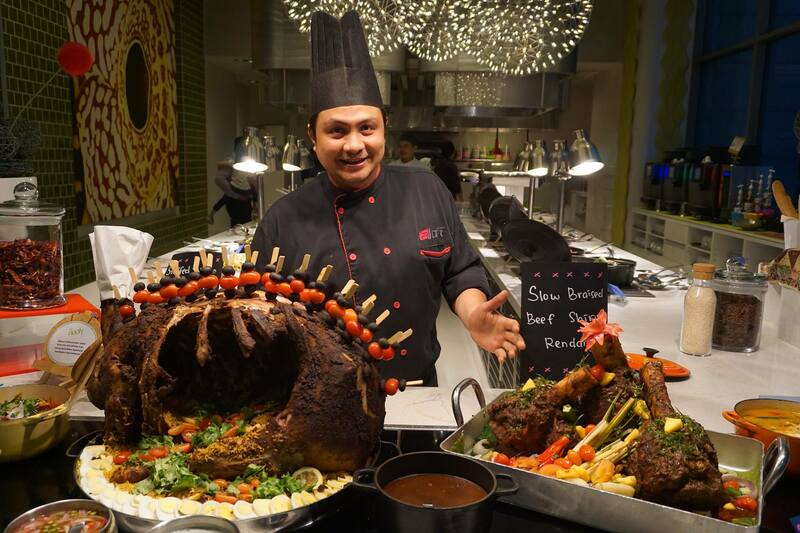 Guests will be spoilt for choices at their 100 meter long buffet line with over 300 mouth-watering specialties, ranging from traditional Malay cuisine to other local favourites and international delights. Apart from sampling delicious dishes, do watch out for live cooking station using the freshest ingredients, or try your hand at constructing your own ais kacang masterpiece. Showcasing more than 100 local dishes and flavours, One World Hotel’s award-winning coffee house, Cinnamon has a grand feast prepared, ranging from appetisers to desserts and everything in between. Notable dishes include the Kambing Opor Daun Selum, Ikan Kari Asam Pedas, Daging Masak Tiga Rasa, and other mouthwatering local classics. They say you’ll always have space for desserts, and at One World Hotel, the dessert line encompasses crowd favourites like Jagung Susu Dalam Cawan, Mandarin Orange Crème Caramel, Bubur Cha Cha, and more. Address: First Avenue, Bandar Utama City Centre, 47800, Selangor. 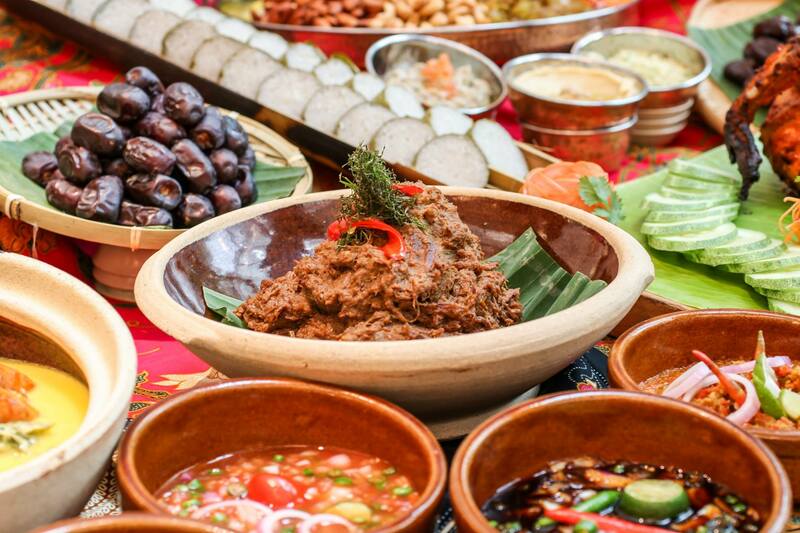 At Le Meridien Kuala Lumpur’s Ramadan buffet dinner, we advise patrons to start at the Malay Kerabu station, which features tantalising appertisers such as Kerabu, Daging Bakar, Acar and a variety of Ulam, before moving to other mouthwatering main courses and sweet desserts. The best part of the buffet here is that they keep the health conscious guests in mind as well by serving Kerabu Ikan Bakar with Belimbing Buluh and Sambal Cili Kering Berulam Peria, as they are good for the kidneys and detoxifies the body. Also, the roasted lamb on the buffet line is marinated for 10 hours before roasting for another two hours and steam baked for 30 minutes, ensuring the meat is tender, moist and juicy. Address: Jalan Stesen Sentral 2, Kuala Lumpur Sentral, 50470 Kuala Lumpur. Duration: 27th May – 24th June 2017. Apart from showcasing traditional dishes from 14 states in Malaysia, the chefs at The Westin KL will also be serving modern international dishes and top-notch live cooking station this Ramadan. It’s the right place for Muslims to break their fast as a lavish spread of inviting appertisers, delightful mains and delectable desserts with more than 50 appealing dishes will be laid out on the buffet aisle. Besides the food, the ambiance at The Living Room is also inviting, which makes it a perfect place to catch-up with your family and friends over a scrumptious feast. Address: 199, Jalan Bukit Bintang, Bukit Bintang, 55100 Kuala Lumpur. Reservation: Call +603-27318338 or visit their website for more information. Berjaya Times Square Hotel is offering the experience of a full Ramadan Bazaar sans the smoky air and crowded lanes. For their 2017 Ramadan buffet, BTS is going for a bazaar-themed feast featuring over 200 authentic local dishes. The experience is complimented with live music and plenty of live cooking stations whipping up fresh dishes, just like an actual Ramadan Bazaar. They have everything from grill stations selling otak-otak and satay to a pasta station, local style noodle dishes, Malay classics like masak merah and masak lemak as well as a wide selection of traditional desserts from kuih lapis to ketayap. Reservation: Call +603-21178000 or visit their website for more information.